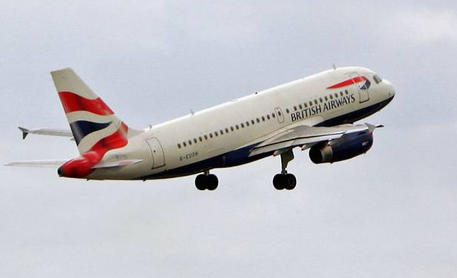 A BRITISH Airways pilot has been hailed as a hero after successfully conducting an emergency plane landing at Heathrow. The BA295 flight, which was due to fly from Heathrow to Chicago, was diverted back due to a "technical issue" after it lost two of its five sets of wheels. After landing, passengers were told to leave the plane in a certain order to "keep the balance", according to passenger Martin Robinson. He told the Daily Star: "The pilot was brilliant, very cool and calm. We are currently sitting on runway waiting to be towed back. Emergency services were on stand-by." "I think the pilot nailed it. Everyone was calm. Landing was almost seamless. Better than other flights I've been on." Ben de Pear, who was also on the flight, said that "despite fear" it was the "smoothest landing of all time". Muriel Gray, whose husband was on the flight, tweeted "kisses and hugs to the British Airways pilot who just landed the plane" and said her husband had told her the pilot was "typically understated despite telling passengers just how close a call that just was." The Heathrow runway was closed for short period of time, causing delays to some flights. Passengers were able to re-board a plane to Chicago a few hours after the emergency landing.